Loventools has been dealing with lasers for many years, we sell, repair and service on laser with any brands. 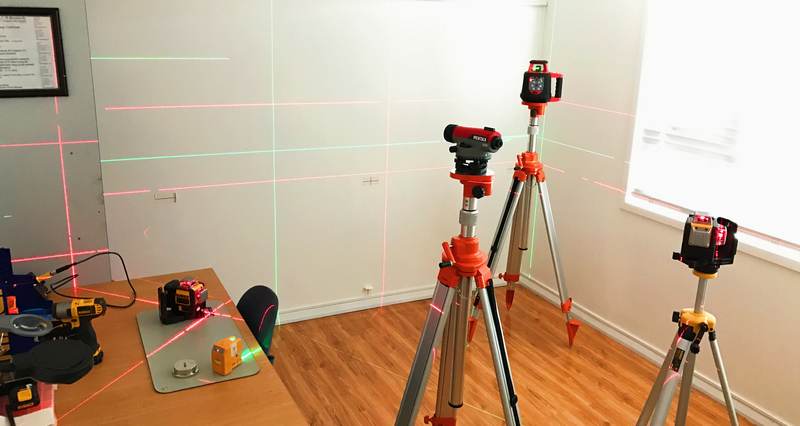 Recently Loventools has set up a Laser Lab at New Lynn branch, where equipped with professional equipment and experienced technicians obtaining certificate in laser repair which was issued in Australia. Repair which includes but not limited to: broken screen, laser beam, control panel. If we can be of any further assistance, please do not hesitate to contact us on 0800 568 368, and one of our team members will be able to assist. We know you can’t do without your tools for long which is why we offer a super-fast repair service. Onsite repairs for urgent situations. Depending on the problem, this will incur an additional charge. We are a distributor for all Leica lasers,Tuf lasers and levels. For tools sent for repair outside of Auckland, our standard delivery times apply. All repairs are scheduled during normal business days. We do not schedule repairs on public holidays and Sunday. We know that having ‘work-ready’ tools is really important for every tradesman. To ensure your tools are well maintained and reliable, we offer a PROTECTION PLAN that can double the life of your tools. In addition to the manufacturer’s warranty, all tools purchased from LovenTools also get ONE FREE SERVICE. This applies to new tools or ex-demo and factory reconditioned tools. Parts are extra. On all NZ-purchased products, just drop-off and pick-up your tools from our service centre. For international purchases, you will need to pay the return shipping. Save yourself lots of time! When it comes to finding replacement parts, we go the extra mile. We bend over backwards to help our customers, which is why they keep coming back. We’re extremely proud of the fact, that many of our customers have been with us since the beginning. Our Tool Repair Service is highly valued by our many tradesmen customers and our best price in New Zealand promise, is hard to beat. If you have an enquiry or need more information about anything at all, please call us on 0800 568 368 or Contact us via email with your question.